Gary J. Frank P.C. 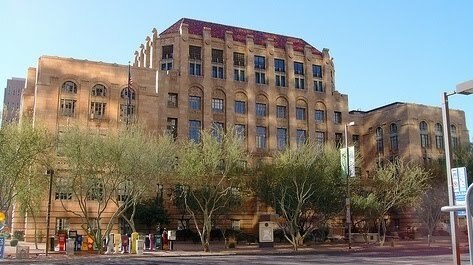 - Phoenix AZ Divorce & Family Law Blog: IS ARIZONA'S NEW "CUSTODY" LAW HURTING CHILDREN? The reason this is important is that while, in the past, the judge would consider which parent had actually provided “primary care” of the children, the new statute places an emphasis on other parent’s “potential" for being able to care for them. There is some logic to the change. When two people are married they may have the luxury of being able to have one parent stay at home, or work part-time, and provide primary care of the children; however, after the divorce both parents will probably have to work full-time, and each will become a “single parent.” If both parents are working full-time, then an equal parenting arrangement might make sense. But, in my opinion, there is a danger in making a blanket assumption that such an arrangement would be best for the children. Examining a parent's capability is fine; but relying on a parent's "potential" can be speculative, since it is based on supposition and not fact. The reason one parent was primarily in charge of parenting during the marriage may have had less to do with work schedules than the fact that the “other parent” was not as interested in, or not as capable of, being an active and engaged parent. To give that parent equal decision-making, and equal parenting-time, would be contrary to the children's best interests. The big question is whether Arizona's statutory revision will have the effect of making 50/50 the "default" parenting arrangement, or the “starting point” in the Court’s analysis. In my own experience – and according to attorneys with whom I have spoken -- that is exactly what is happening in many cases. Today a judge might start with a 50/50 arrangement in mind, and move from there to more parenting- time and/or decision-making for mother, or for father, depending on the facts and circumstances of the case. The change brings Arizona in line with many other states, but I believe this shift in philosophy is a mistake. While “best interests of the child" is still the deciding factor in a judge’s decision, I am concerned that courts are increasingly moving in the direction of a “template” decision that applies across the board and will be ordered unless a litigant can prove that using the template would be harmful to the children. Rather than using a “template,” or a "starting point," or "default" option, the Court should judge each case on its own merits, without any preconceived notions. To do otherwise could lead to a decision that does not truly serve the “best interests” of the children. It might even lead to a decision that hurts them. Gary J. Frank is an attorney and mediator with over thirty years of Family Law experience in dealing in divorce, custody, and parenting issues. For many years he acted as a Judge Pro Tempore in the Maricopa County Superior Court, which gave him an insight into the inner workings of the courts that many attorneys lack. His office is located in the Biltmore area of central Phoenix, with satellite offices in Scottsdale and Paradise Valley, Arizona. He can be reached by telephone (602-383-3610); or by email at gary.frank@azbar.org. You can also reach him through his website at www.garyfranklaw.com. If you are in need of a consultation regarding any area of Family Law, contact us today.